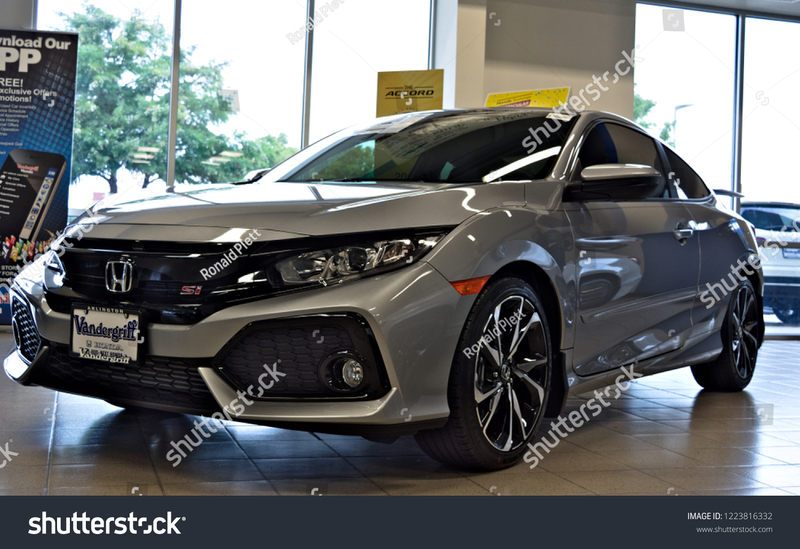 Honda will be releasing an update of its technologies and its very popular Civic sedan and coupe for 2019. Canadian details and prices have just been released, and here's what we now know about the best-selling car in Canada since 21 years. The Civic 2019 will be available this fall at dealerships, with the exception of the new Sport version, which will debut in early 2019.
a more flashy appearance and exclusive features, available on both the sedan and the coupe. The 2019 Sedan and Civic Coupe both feature updated styling to update the 10th generation Civic design. The lower bumper has been redesigned and the headlights are covered with a black case. The "wing" design of the Honda brand on the grille also benefits from a new gloss black treatment. On the Touring versions, the LED headlights have been modernized with a new design and chrome accents adorn the front bumper. At the rear, the lower bumper of the Civic sedan carries a chrome strip. Three new colors are also available: Platinum White Pearl, Cosmic Blue on the sedan and an exclusive Tonic Yellow Pearl for the Civic Coupe. The Honda Sensing technology package is currently the standard in the entire assortment. Also new is the updated display audio system (standard version LX and higher) with physical buttons and a volume knob - gale. Pairing devices has become easier thanks to improved Bluetooth integration. All versions are redesigned using the steering wheel, which provides a more intuitive operation, a new center console cup holder with a larger opening and updated gray bronze trim panel on LX finishes, a metallic Touring sedan finish and a stamped finish on sports slats. Other improvements include additional acoustic insulation in the floor, trunk and front fenders, with new sound insulation in the rear fenders. 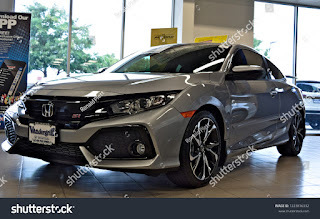 All versions of the 2019 Civic, except the Touring, use a 2.0L 4-cylinder DOHC i-VTEC engine, combined with a 6-speed manual gearbox (DX, LX only) or CVT; the maximum power is 158 hp and 138 lb-ft of torque. The Touring, meanwhile, is equipped with a 1.5-liter DOHC turbo engine with CVT, developing 174 hp and 162 lb-ft of torque. Eight is enough: the Civic 2019 saloon is available in five versions: DX, LX, EX Sport and Touring, while the Civic Coupe is available in the LX, Sport and Touring versions. The 2019 version of the Civic Sedan Sport will arrive at dealers in early 2019. This new version of the Sport is powered by a 2.0L engine coupled to a 6-speed manual gearbox (only the coupe) or an optional Continuously Variable Automatic Transmission (CVT). It is distinguished by unique exterior styling elements, such as fog lamps with shiny black trim and oversized 18-inch wheels. Inside, Sport features red gauges, leather-wrapped steering wheel and shifter, shift paddles (CVT-equipped models), textured aluminum sport pedals, and unique seat materials that combine synthetic leather and fabric.